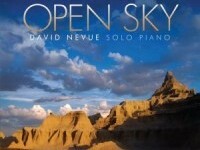 David Nevue (pronounced NEV-Yoo) is a self-taught pianist who resides in Eugene, Oregon. He has released fifteen albums of his solo piano compositions and arrangements, including “Overcome,” named “Best Instrumental Piano Album of 2005” at the prestigious Lifestyle Music Awards. His most recent album, “Winding Down,” entered the top 10 on Billboard’s “New Age/Instrumental” album charts and went to #1 on Amazon.com’s music sales charts. “Winding Down” was nominated for Piano Album of the Year by ZMR and named “Best Solo Piano Album of 2015” by One World Radio. He is one of the few independent recording artists to surpass a billion spins on Pandora Radio. David’s neoclassical piano stylings reflect a wide array of musical influences… everything from the classics (Chopin and Rachmaninoff) to contemporary artists like pianist George Winston, the Irish band Clannad and even the rock band Rush. 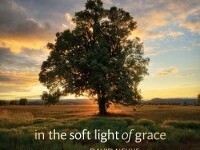 David’s music also reflects his love of literature, poetry and the Psalms, quoting numerous influences from C.S. Lewis to The Bible. 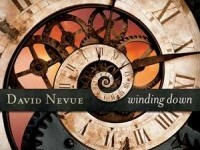 To learn more about David, visit his web site at http://www.davidnevue.com.